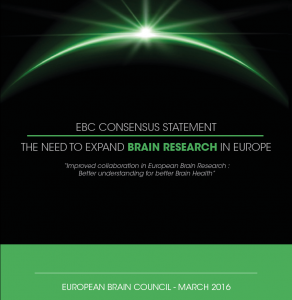 The document is titled “The need to expand Brain Research in Europe” and can be viewed here. In promoting brain health in Europe, EBC recognises the vital need to create a body of evidence supporting our call to give the brain a higher priority as well as to provide policy makers with the state-of-the-art knowledge concerning key needs in the field of brain research. EBC’s Consensus Statement is answering to this. Find Monica Di Luca’s presentation here. There was a general consensus among the participants that brain research should not become a topic of political games, but be awarded the proper support from decision-makers both at EU and national level. One way of doing that – as EBC and its partners suggest in our recent Call to Action – is to create European and national brain plans to ensure better management of brain disorders. 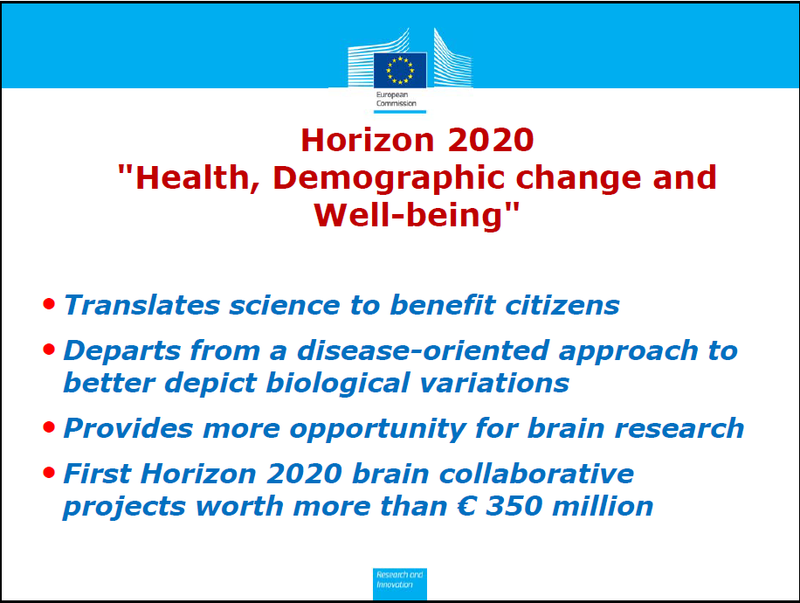 This Consensus Document also points to the need for robust basic research in neuroscience and the development of a strong European platform for brain research which is needed to address brain diseases, a societal emergency in European countries. The current paper is an update to the 2006 and 2011 Consensus Documents, reflecting changes in research priorities and advances in brain research that have taken place in the last few years. In particular, this most recent update formulates proposals for brain research ranging from consciousness to computational neuroscience.